Having a common interest is helpful when making new friends at school. Drawing is a pastime that many people enjoy. If you meet other students who really like to draw, consider organizing an art club. 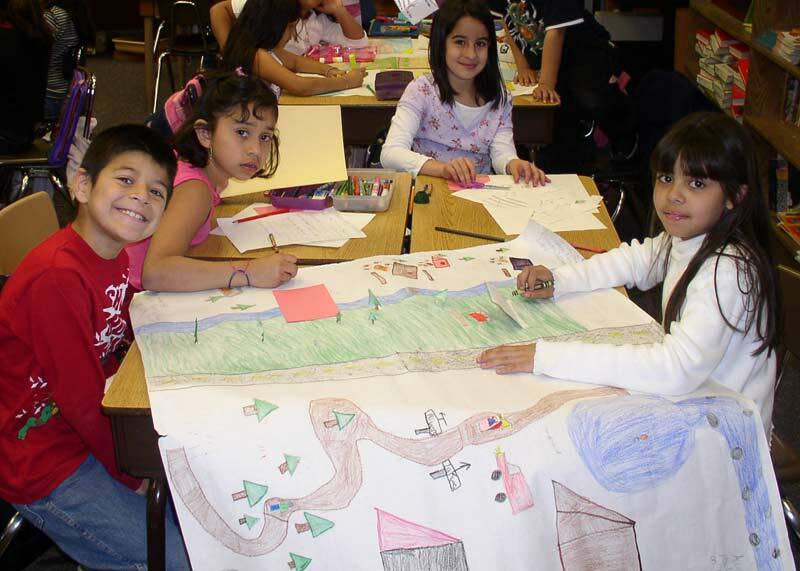 Together, you can create visual art projects for school events, or make comic books to share with friends. Even non-artists are curious about drawing. Whether it’s a doodle on a notebook, or a picture for a school assignment, your drawings will catch people’s interest. It’s fun when people start talking with you about your work. It means they’ve noticed your unique drawing skills. You don’t have to be a professional artist to talk about drawing with other students. Remember, most people enjoyed making drawings when they were young kids. They’ll be interested in talking with you about it. The conversation could be an open door to starting a friendship. Who knows, maybe you’ll inspire your new friends to start drawing again! And don’t forget, friends are always thrilled to receive their portrait, hand-drawn and signed by you. Teachers enjoy reading reports that are interesting to look at. When your teacher enjoys your report, your chances of getting a better grade are greatly improved. Carefully planned drawings make information easy to understand and enjoyable to read. Although drawing doesn’t take the place of writing skills, it can show your teacher you understand a subject. When it’s difficult to think of words to write, a drawing can make your ideas visible. Drawing is a form of visual language that helps express your thoughts to your teacher. Effective communication with your teacher improves your understanding of a subject and helps you to become a successful student. Show What You Know: An accurate, neatly drawn diagram may help to nail down a stellar grade. It shows what you’ve learned about a subject and adds interest to your presentation. 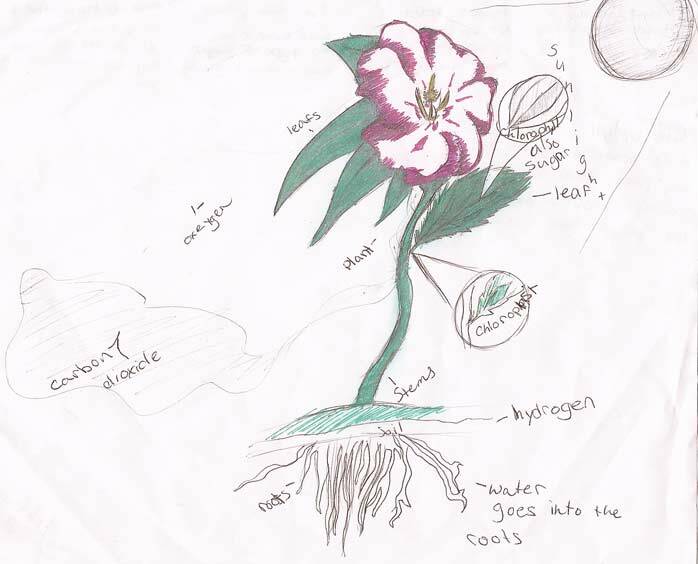 A diagram of a flower shows a sixth-grader’s knowledge of photosynthesis. Drawing and Writing: If “a picture is worth a thousand words” then drawing is money in the bank when it comes to journaling. Expressing yourself through drawing opens a direct line of communication with your teacher. Honest communication leads to getting help in difficult school subjects, which can lead to receiving better grades. Think With Your Pencil: The doodles you draw while talking with classmates on the phone can lead to valuable ideas. Much of your thinking and problem solving happens deep down in your brain. Doodling with a pencil or pen gets your thinking process onto paper. A random doodle can become the solution to a frustrating geometry problem. A swirling scribble can turn into an abstract design for Friday’s art assignment. Visual Notes: Sometimes your teacher simply talks too fast! To keep up with the lecture, try drawing visual notes along with your written notes. Don’t worry about details. Quick lines and shapes can describe how a steam engine works, or show the structure of a plant cell or a dinosaur. Draw Better Math Grades: Bring a smile to your teacher’s face! During math, take time to neatly and accurately draw your geometry lessons, number lines for integers, and shapes for fractions. This helps your teacher to clarify your method and answers. It also shows your interest in learning math, which opens the door to better understanding and better grades. The formula is easy: Teacher Smile + Understanding = Better Grade. Art and Science: Letting your passion for drawing flourish in art classes for a better grade is a no-brainer. You’ll find countless ways to put drawing to work for you, such as sketching ideas for a ceramics project or drawing pencil outlines for a watercolor painting. 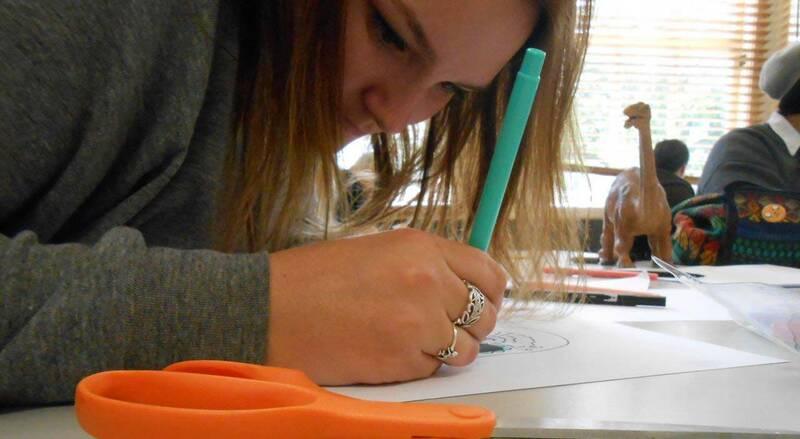 Excelling in art class could be the edge you need toward raising your GPA. Albert Einstein famously said, “Imagination is more important than knowledge.” Channeling your creative mind into your science studies can help you understand complex scientific concepts and theories. Visual notes on how atoms form molecules are very helpful when studying for the next physical science exam. Your hand-drawn observations showing the metamorphosis of a butterfly can become illustrations for your biology report. When it comes to the number of ways drawing can help you in school, the sky’s the limit! I’ve shared only some of the possibilities to get you started. If you have ideas on how to use drawing in school, please share them with me. I’d love to hear from you! Previous PostBorn to DrawNext PostI Can’t Draw!